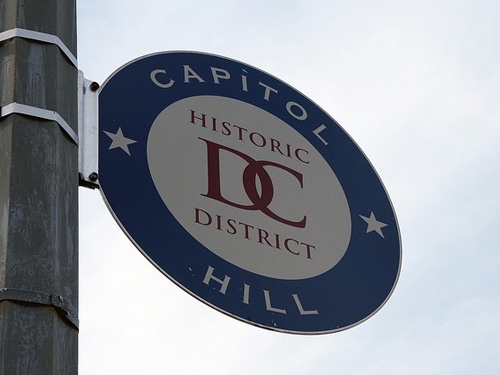 Capitol Hill is the largest historic residential neighborhood in DC with over 35,000 residents. The neighborhood was designed by master city planner Pierre L'Enfant when the government began work at both the Capitol and the Washington Navy Yard in the late 1700’s. The neighborhood itself used to be home to several boarding houses which accommodated members of Congress and their staff. It wasn't until the Washington Navy Yard was fully operational in 1799 was there a need for permanent residences to be established. Though Capitol Hill was originally one of the city’s premier areas, it experienced periods of economic hardship, crime and a serious drug outbreak during the 1980's. Today, it has since made a full recovery to again emerge as a thriving community and a great place when looking for homes for sale in DC. Capitol Hill is made up of residential, commercial and of course, government buildings. It is home to the United States Capitol, the Senate and House office buildings, the Supreme Court, the Library of Congress, the Marine Barracks, the Washington Navy Yard, and the Congressional Cemetery. The commercial corridor of Capitol Hill is comprised of several restaurants, bars, shops and the famous Eastern Market. 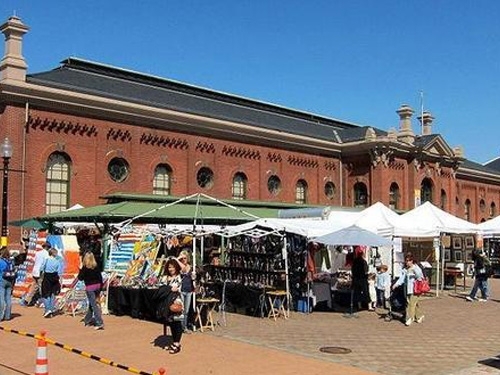 Eastern Market is a popular public market, established in 1873, where vendors sell fresh meats, fish, vegetables, fruits, and other goods. Many of the DC houses for sale on Capitol Hill have more of a smaller town neighborhood feel than most of its urban neighbors, and the residents pride themselves on being a tight-knit community. The median home price in the area stands at a substantial $630,000 with larger row houses reaching levels over $1 million.